Inclusive Communities is Sept. 21, 6-9 p.m.
It’s exactly that type of inclusivity and diversity that the city of Longmont has always worked to promote through the Longmont Multicultural Action Committee (LMAC), formed 15 years ago, in 2003. 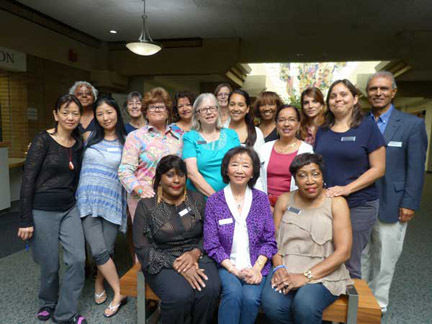 LMAC’s main goal is “to create a community where everyone belongs” by sponsoring culturally inclusive gatherings, promoting civic engagement by residents, and building relationships among community members from different cultures. LMAC co-sponsors a number of events each year with other local cultural organizations, including the Martin Luther King, Jr. Day event in January and the Chinese New Year gathering in February. LMAC also hosts the annual Inclusive Communities Celebration, being held this year on Sept. 21. A number of organizations gather to present cultural song and dance performances, and ethnic food from Iran, Mexico, Puerto Rico, China and other nations. This year’s event includes a special “passport” program—as families “travel” to each country, they earn a stamp in their keepsake book. Ramirez encourages everyone to attend the Inclusive Communities Celebration and also to find out more about getting involved with LMAC.